Welcome to Comic Multiverse! HereÂ comic fansÂ can share viewpoints on character profiles, crossover battles and movie review talk! Who is your favorite hero or villain? Which characters do you think would have the most exciting battle? Which film company is the best when bringing comic stories to life? The powers and abilities of heroes and villains has evolved to greater platforms since their origins. This occurs when new writers bring fresh ideas to character development throughout the decades. This eventually leads to crossover topics among comic readers, leaving readers to wonder which characters would rank at the top of his or her class. 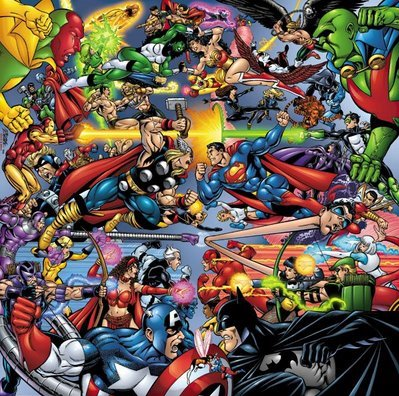 Sooner or later, live action film or animations will emerge to satisfy comic fan’s desire for visual battles of superpowers, much like Michael Habjan’s Superman vs Hulk. Comic Multiverse features some crossover scenarios created from the viewpoint of Quedel Malone (creator of Comic Multiverse) as well as popular crossover battles that have circulated online via forums, blogs and social media.One of Quedel’s favorite comic stories isÂ The Blackest NightÂ Â series of GreenÂ Lantern. The Blackest Nights introduced the other Lantern CorpsÂ in existence.Â The Lantern CorpsÂ are structuredÂ around sentient emotion, emotions found in all living beings throughout many universes, comic and real. This means the Lantern Corps can recruit members fromÂ all the popular comicÂ universes such as Marvel, Dragonball Z, Image, Star Wars, etc…. The Corps recruitment makes the crossover universe possible and popular topics of discussion. Comic Multiverse favorite wallpaper of comic crossovers goes to DeviantArt artists: pant and Ivan-NES. Excellent Work!! 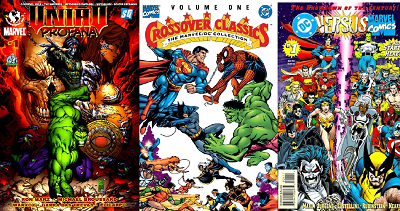 Comic Multiverse featuresÂ artwork found on sites such asÂ DeviantArt, from artists who express their love for comics through amazing talent and vision. The two main objectives for Comic Multiverse is to create a blog with quality content that flows clear in the minds of its readers and createÂ a platform where comic fan artist are paid(Paypal) to create artwork or animated clips for crossover concepts developed on this site. As a comic reader and inspired fan, Quedel Malone believes that every artist, animator and blogger should be recognized for creativity, imagination and talent. Do you enjoy comic crossovers? Follow Comic Multiverse via social media or email for updates on character summaries and crossover battles.